In “Critique of Liberal Ideology,” Alain de Benoist uses the term “liberalism” in the broad European sense of the term that applies not just to American liberalism but also to American libertarianism and mainstream conservatism, insofar as all three share a common history and common premises. I wish to thank Alain de Benoist for permission to translate and publish this essay, Michael O’Meara for checking the translation, and Arjuna for help with French idioms. Not being the work of a single man, liberalism was never presented in the form of a unified doctrine. Various liberal authors have, at times, interpreted it in divergent, if not contradictory, ways. Still, they share enough common points to classify them all as liberals. These common points also make it possible to define liberalism as a specific school of thought. On the one hand, liberalism is an economic doctrine that tends to make the model of the self-regulating market the paradigm of all social reality: what is called political liberalism is simply one way of applying the principles deduced from these economic doctrines to political life. This tends to limit the role of politics as much as possible. (In this sense, one can say that “liberal politics” is a contradiction in terms.) On the other hand, liberalism is a doctrine based on an individualistic anthropology, i.e., it rests on a conception of man as a being who is not fundamentally social. These two characteristic features, each of which has descriptive and normative aspects (the individual and the market are both described as facts and are held up as models), are directly opposed to collective identities. A collective identity cannot be analyzed in a reductionistic way, as if it were the simple sum of the characteristics possessed by the individuals of a given community. Such an identity requires the collectivity’s members to be clearly conscious that their membership encompasses or exceeds their individual being, i.e., that their common identity is a product of this composition. However, insofar as it is based on individualism, liberalism tends to sever all social connections that go beyond the individual. As for the market’s optimal operation, it requires that nothing obstruct the free circulation of men and goods, i.e., borders must be treated as unreal, which tends to dissolve common structures and values. Of course this does not mean that liberals can never defend collective identities. But they do so only in contradiction to their principles. Louis Dumont has shown Christianity’s role in Europe’s passage from a traditional holist society to a modern individualistic society. Right from the start, Christianity presented man as an individual who, prior to any other relationship, has an inner relationship to God and who thus seeks salvation through personal transcendence. In this relationship with God, man’s value as an individual is affirmed, and by comparison the world is necessarily degraded or devalued. Moreover, the individual is made equal to all other men, who also have individual souls. Egalitarianism and universalism are thus introduced on a higher plane: the absolute value the individual soul receives from its filial relationship with God is shared by all humanity. The Pauline doctrine reveals a dualistic tension that makes the Christian, in his relationship to God, an “otherworldly individual”: to become Christian implies in some way giving up the world. However, in the course of history, the “otherworldly” individual gradually contaminated worldly life. To the extent that he acquired the power to make the world conform to his values, the otherworldly individual progressively returned to the world, immersing himself in it and transforming it profoundly. The process was carried out in three main stages. Initially, secular life was no longer rejected but relativized: this is the Augustinian synthesis of the two cities. In the second stage, the papacy secularized itself by assuming political power. Finally, with the Reformation, man invested himself completely in the world, where he worked for the glory of God by seeking material success that he interpreted as the very proof of his election. Organic society of the holist type then disappeared. In contemporary terms, one passed from community to society, i.e., to common life conceived as simple contractual association. The social whole no longer came first, but rather individual holders of individual rights, bound together by self-interested rational contracts. An important moment of this evolution was the fourteenth century nominalism of William of Ockham, who held that nothing exists but particular beings. Another key moment was Cartesianism, which philosophically established the conception of the individual later presupposed by the legal doctrine of the rights of man and the intellectual perspective of the Enlightenment. Beginning in the eighteenth century, the emancipation of the situated individual from his natural attachments was routinely interpreted from the perspective of universal progress as marking the accession of humanity to “adulthood.” Sustained by this individualistic impulse, modernity was characterized first and foremost as the process by which local and kinship groups, and broader communities, are gradually broken down to “liberate the individual,” and all organic relations of solidarity are dissolved. From time immemorial, to be human meant to be affirmed both as a person and as a social being: the individual dimension and the collective dimension are not identical, but are inseparable. In the holist view, man develops himself on the basis of what he inherits and in reference to his social-historical context. It is to this model, which is the most common model in history, that individualism, which one must regard as a peculiarity of Western history, directly comes to be opposed. In the modern sense of the term, individualism is the philosophy that regards the individual as the only reality and takes him as the principle of every evaluation. The individual is considered in himself, in abstraction from his social or cultural context. While holism expresses or justifies existing society in reference to values that are inherited, passed on, and shared—i.e., in the last analysis, in reference to society itself—individualism establishes its values independently of society as it finds it. This is why it does not recognize the autonomous status of communities, peoples, cultures, or nations. For it sees these entities as nothing but sums of individual atoms, which alone have value. In liberal ideology, the individual possesses rights inherent in his “nature” entirely independent of social or political organization. Governments are obligated to guarantee these rights, but do not establish them. Being prior to all social life, they are not immediately correlated to duties, because duties imply precisely that social life already exists: there are no duties toward others if there are no others. Thus the individual himself is the source of his own rights, beginning with the right to act freely according to the calculation of his private interests. Thus he is “at war” with all other individuals, since they are supposed to act the same way in a society conceived as a competitive market. Liberal freedom thus supposes that individuals can be abstracted from their origins, their environment, the context in which they live and where they exercise their choices, i.e., from everything that makes them who they are, and not someone else. It supposes, in other words, as John Rawls says, that the individual is always prior to his ends. Nothing, however, proves that the individual can apprehend himself as a subject free of any allegiance, free of any determinism. Moreover, nothing proves that in all circumstances he will prefer freedom over every other good. Such a conception by definition ignores commitments and attachments that owe nothing to rational calculation. It is a purely formal conception, that makes it impossible to understand what a real person is. The general idea is that the individual has the right to do everything he wants, so long as his use of his freedom does not limit the freedom of others. Freedom would thus be defined as the pure expression of a desire having no theoretical limits other than the identical desire of others, the whole of these desires being mediated by economic exchanges. It is what Grotius, the theorist of natural right, already asserted in the seventeenth century: “It is not against the nature of human society to work for one’s own interest, provided that one does so without wounding the rights of others.” But this is obviously an irenic definition: almost all human acts are exercised in one way or another at the expense of the freedom of others, and it is, moreover, almost impossible to determine the moment when the freedom of one individual can be regarded as hindering that of others. In fact, liberal freedom is, above all, the freedom to own. It does not reside in being, but in having. Man is called free insofar as he is an owner—first of all, an owner of himself. The idea that self-ownership fundamentally determines freedom will later be adopted by Marx. Alain Laurent defines self-realization as an “ontological insularity whose primary goal is the search for one’s own happiness.” For liberal writers, the “search for happiness” is defined as the unhampered freedom to try always to maximize one’s best interest. But immediately we encounter the problem of understanding “interests,” especially since those who take interests as axiomatic seldom care to speak of their genesis or describe their components, any more than they wonder whether all social actors are at bottom driven by identical interests or if their interests are commensurable and compatible. When cornered, they tend to give the term a trivial definition: for them an “interest” becomes synonymous with a desire, a project, an action directed towards a goal, etc. Anything can become an “interest.” Even the most altruistic or disinterested action can then be defined as egoistic and interested, since it corresponds to the voluntary intention (the desire) of its author. In reality, though, it is clear that for liberals, an interest is defined initially as a material advantage which, to be appreciated as such, has to be calculable and quantifiable, i.e., to be expressible in terms of the universal equivalent which is money. Liberalism is nevertheless obliged to recognize the existence of the social. But rather than wonder why the social exists, liberals are instead concerned with how it is established and maintained, and how it functions. After all, society for them is nothing more than the simple sum of its members (the whole being nothing but the sum of its parts), merely the contingent product of individual wills, a simple assembly of individuals all seeking to defend and satisfy their private interests. Society’s essential goal, therefore, is to regulate exchange relations. Such a society can be conceived either as the consequence of an initial rational voluntary act (the fiction of the “social contract”) or as the result of the systemic play of the totality of projects produced by individual agents, a play regulated by the market’s “invisible hand,” which “produces” the social as the unintentional result of human behavior. The liberal analysis of the social rests, thus, either on contractualism (Locke), recourse to the “invisible hand” (Adam Smith), or the idea of a spontaneous order, independent of any intention (F. A. Hayek). Liberals developed the whole idea of the superiority of regulation by the market, which is supposed to be the most effective, most rational, and thus also the most just means to harmonize exchanges. At first glance, the market is thus presented above all as just a “technique of organization” (Henri Lepage). From an economic standpoint, it is at the same time an actual place where goods are exchanged and a virtual entity where in an optimal way the conditions of exchange—i.e., the adjustment of supply and demand and the price level—are formed. But liberals do not wonder about the origin of the market either. Commercial exchange for them is indeed the “natural” model for all social relations. From this they deduced that the market itself is also a “natural” entity, establishing an order prior to any deliberation and decision. Being the form of exchange most in harmony with human nature, the market would be present at the dawn of humanity, in all societies. One finds here the tendency of every ideology to “naturalize” its presuppositions, i.e., to present itself, not for what it is, in fact a construction of the human spirit, but as a simple description, a simple transcription of the natural order. The state being correlatively rejected as an artifice, the idea of the “natural” regulation of the social by means of the market can then be imposed. The theological connotations of this metaphor are obvious: the “invisible hand” is only a secular avatar of Providence. It should also be emphasized that, contrary to what is often believed, Adam Smith does not assimilate the very mechanism of the market to the play of the “invisible hand,” because he utilizes the latter only to describe the end result of the confluence of commercial exchanges. Besides, Smith still accepts the legitimacy of public intervention when individual projects alone fail to realize the common good. The consequences of the theory of the “invisible hand” are decisive, particularly at the moral level. In some passages, Adam Smith indeed rehabilitates the very behaviors that previous centuries always condemned. By subordinating the social interest to individual economic interests, Smith makes selfishness the best way to serve others. While seeking to maximize our best personal interest, we work—without knowing it, indeed without even having to want it—for the interest of all. The free confrontation of egoistic interests in the market “naturally, or rather necessarily,” allows their harmonization by the play of the “invisible hand,” thus making them contribute to the social optimum. Thus there is nothing immoral in seeking one’s own interest first, since in the final analysis the egoistic action of each leads, as if by accident, to the interest of all. It is what Frédéric Bastiat summarized in a formula: “Each one, while working for himself, works for all.” Egoism is thus nothing but altruism properly understood. By contrast, it is the schemes of the public authorities that deserve to be denounced as “immoral,” whenever, in the name of solidarity, they contradict the right of individuals to act according to their own interests. Liberalism links individualism and the market by stating that the free operation of the latter is also the guarantor of individual freedom. By ensuring the best return on exchanges, the market in effect guarantees the independence of each agent. Ideally, if the market’s performance is unhindered, this adjustment takes place in an optimal way, making it possible to attain an ensemble of partial equilibriums that ensure an overall equilibrium. Defined by Hayek as a “catallaxy,” the market constitutes a spontaneous and abstract order, the formal instrumental support for the exercise of private freedom. The market thus represents not just the satisfaction of an economic ideal of optimality, but the satisfaction of everything to which individuals, considered as generic subjects of freedom, aspire. Ultimately, the market is identified with justice itself, which leads Hayek to define it as a “game that increases the chances of all the players,” stipulating that, under these conditions, losers would be ill-advised to complain, for they have only themselves to blame. Finally, the market is intrinsically “pacifying” because, based on “gentle commerce,” it substitutes the principle of negotiation for conflict, neutralizing both rivalry and envy. Note that Hayek reformulates the theory of the “invisible hand” in “evolutionary” terms. 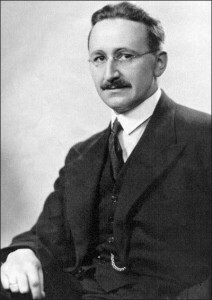 Hayek indeed breaks with any sort of Cartesian reasoning, such as the fiction of the social contract, which implies the opposition (standard since Hobbes) between the state of nature and political society. On the contrary, in the tradition of David Hume, he praises custom and habit, which he opposes to all “constructivism.” But at the same time he affirms that custom selects the most effective and rational codes of conduct, i.e., the codes of conduct based on commercial values, whose adoption results in rejecting the “tribal order” of “archaic society.” This is why, invoking “tradition” all the while, he criticizes traditional values and firmly condemns any organicist vision of society. Indeed, for Hayek the value of tradition derives above all from what is spontaneous, abstract, impersonal, and thus inappropriable. It is this selective character of custom that explains why the market was gradually imposed. Hayek thus thinks that any spontaneous order is basically “right” in the same way that Darwin asserts that the survivors of the “struggle for life” are necessarily “the best.” The market order thus constitutes a social order that prohibits by definition any attempt to reform it. In the modern age, liberal economic analysis was gradually extended to all social facts. The family was assimilated to a small business, social relations to a network of competing self-interested strategies, political life to a market where the voters sell their votes to the highest bidder. Man is perceived as capital, the child as a consumer good. Economic logic was thus projected onto the social whole, in which it was once embedded, until it entirely encompassed it. As Gerald Berthoud writes, “society can then be conceived starting from a formal theory of purposeful action. The cost-benefit analysis is thus the principle that rules the world” Everything becomes a factor of production and consumption; everything is supposed to result from the spontaneous adjustment of supply and demand. Everything is worth its exchange value, measured by its price. Correlatively, all that cannot be expressed in quantifiable and calculable terms is held to be uninteresting or unreal. Economic discourse thus proves profoundly reifying of social and cultural practices, profoundly foreign to any value that cannot be expressed in terms of price. Reducing all social facts to a universe of measurable things, it finally transforms men themselves into things—things substitutable and interchangeable from the monetary point of view. This strictly economic representation of society has considerable consequences. Completing the process of secularization and “disenchantment” of the world characteristic of modernity, it leads to the dissolution of peoples and the systematic erosion of their distinct characteristics. On the sociological plane, privileging economic exchange divides society into producers, owners, and sterile classes (like the former aristocracy), through an eminently revolutionary process that Karl Marx was not the last to praise. On the plane of the collective imagination, it leads to a complete inversion of values, while raising to the pinnacle commercial values that from time immemorial had been regarded as the very definition of inferior, since they were matters of mere necessity. On the moral plane, it rehabilitates the spirit of self-interested calculation and egoistic behavior, which traditional society has always condemned. The paradox is that liberals never cease affirming that the market maximizes the chances of each individual to realize his own ends, while affirming that these ends cannot be defined in advance, and that, moreover, nobody can better define them than the individual himself. But how can they say that the market brings about the optimum, if we do not know what this optimum is? In fact, one could just as easily argue that the market multiplies individual aspirations much more than it gives them the means to achieve them, that it increases, not their satisfaction, but their dissatisfaction in the Tocquevillian sense of the term. Moreover, if the individual is always by definition the best judge of his own interests, then what obliges him to respect reciprocity, which would be the sole norm? Liberal doctrine would no longer base moral behavior upon a sense of duty or the moral law, but upon self-interest, rightly understood. While not violating the liberty of others, I would dissuade them from violating mine. Fear of the police is supposed to take care of the rest. But if I am certain that, by transgressing the rules, I incur only a very small risk of punishment, and reciprocity does not matter to me, what prevents me from violating the rules or the law? Obviously nothing. On the contrary, taking into account nothing but my own interests encourages me to do so as often as I can.
. . . though among the different members of the society there should be no mutual love and affection, the society, though less happy and agreeable, will not necessarily be dissolved. Society may subsist among different men, as among different merchants, from a sense of its utility, without any mutual love or affection; and though no man in it should owe any obligation, or be bound in gratitude to any other, it may still be upheld by a mercenary exchange of good offices according to an agreed valuation. The meaning of this passage is clear. A society can very well economize—this word is essential—on any form of organic sociality, without ceasing to be a society. It is enough for it to become a society of merchants: the social bond will merge with the feeling of its “utility” and the “mercenary exchange of good offices.” Thus to be human, it is sufficient to take part in commercial exchanges, to make free use of one’s right to maximize one’s best interest. Smith said that such a society will certainly be “less happy and agreeable,” but the nuance was quickly forgotten. One even wonders if, for certain liberals, the only way to be fully human is to behave like merchants, i.e., those who were formerly accorded an inferior status (not that they were not regarded as useful, and even necessary, but for the very reason that they were nothing but useful—and their vision of the world was limited by the sole value of utility). And that obviously raises the question of the status of those who do not behave like that, either because they lack the desire or the means. Are they still men? From this perspective, nation-state and market reflect the same type of socialization of individuals in space. They are conceivable only within the framework of an atomized society, in which the individual is understood to be autonomous. Thus both the nation-state and the market, in both the sociological and economic sense of these terms, are not possible where society exists as an encompassing social whole. Thus the new form of society that emerged from the crisis of the Middle Ages was built gradually, starting from the individual, from his ethical and political standards, and from his interests, slowly dissolving the coherence of political, economic, legal, and even linguistic realms that the old society tended to sustain. Until the seventeenth century, however, state and civil society continued to be one and the same: the expression “civil society” was still synonymous with politically organized society. 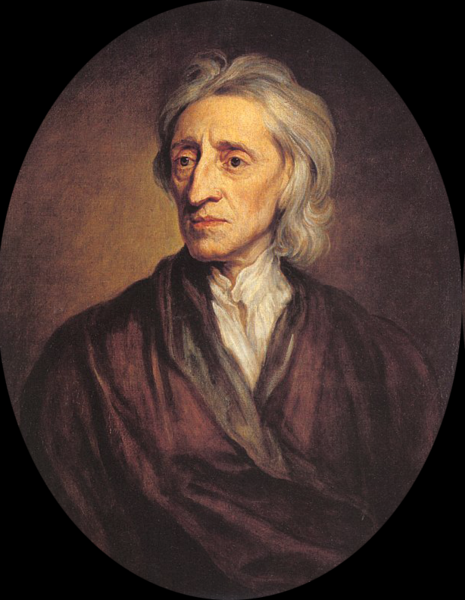 The distinction begins to emerge late in the seventeenth century, notably with Locke, who redefines “civil society” as the sphere of property and exchanges, the state or “political society” being henceforth dedicated to protecting economic interests alone. Based upon the creation of an autonomous sphere of production and exchanges, and reflecting the specialization of roles and functions characteristic of the modern state, this distinction led either to the valorization of political society as the result of a social contract, as with Locke, or to the exaltation of civil society based on the spontaneous adjustment of interests, as with Mandeville and Smith. As an autonomous sphere, civil society creates a field for the unrestricted deployment of the economic logic of interests. As a consequence of the market’s advent, “society,” as Karl Polanyi writes, “is managed as an auxiliary of the market. Instead of the economy being embedded in social relations, social relations are embedded in economic relations.” This is the very meaning of the bourgeois revolution. At the same time, society takes the form of an objective order, distinct from the natural or cosmic order, which coincides with the universal reason to which the individual is supposed to have immediate access. Its historical objectivation initially crystallizes in the political doctrines of rights, the development of which one can follow from the time of Jean Bodin to the Enlightenment. In parallel, political economy emerges as a general science of society, conceived as a process of dynamic development synonymous with “progress.” Society henceforth becomes the subject of a specific scientific knowledge. To the extent that it achieves a supposedly rational mode of existence, and its practices are subject to an instrumental rationality as the ultimate principle of regulation, the social world falls under a certain number of “laws.” But due to this very objectivization, the unity of society, like its symbolization, becomes eminently problematic, the more so as the privatization of membership and attachment leads quickly to the fragmentation of the social body, the multiplication of conflicting private interests, and the onset of de-institutionalization. New contradictions soon appear, not only between the society founded by the bourgeoisie and remnants of the Old Regime, but even within bourgeois society, such as class struggle. The distinction between the public and the private, state and civil society, was still acute in the nineteenth century, generalizing a dichotomic and contradictory view of social space. Having extended its power, liberalism, henceforth promoted a “civil society” identified with the private sphere alone and denounced the “hegemonic” influence of the public sector, leading it to plead for the end of the state’s monopoly on the satisfaction of collective needs and for the extension of commercial modes of intrasocial regulation. “Civil society” then took on a largely mythic dimension. Being defined less and less in its own terms than in opposition to the state—its contours fuzzily defined by what was theoretically subtracted from the state—it seemed more an ideological force than a well-defined reality. “All the degradation of the modern world,” wrote Péguy, “i.e., all lowering of standards, all debasement of values, comes from the modern world regarding as negotiable the values that the ancient and Christian worlds regarded as nonnegotiable.” Liberal ideology bears a major responsibility for this “degradation,” insofar as liberalism is based on an unrealistic anthropology entailing a series of erroneous conclusions. The idea that man acts freely and rationally in the market is just a utopian postulate, for economic facts are never autonomous, but relative to a given social and cultural context. There is no innate economic rationality; it is only the product of a well-defined social-historical development. Commercial exchange is not the natural form of social relations, or even economic relations. The market is not a universal phenomenon, but a localized one. It never realizes the optimal adjustment of supply and demand, if only because it solely takes into account the demand of those who can pay. Society is always more than its individual components, as a class is always more than the elements that form it, because it is that which constitutes it as such, and that from which it is thus logically and hierarchically distinct, as shown in Russell’s theory of logical types (a class cannot be a member of itself, no more than one of its members on its own can constitute the class). Finally, the abstract conception of a disinterested, “decontextualized” individual who acts upon strictly rational expectations and who freely chooses his identity from nothing, is a totally unsupportable vision. On the contrary, communitarian and quasi-communitarian theorists (Alasdair MacIntyre, Michael Sandel) have shown the vital importance for individuals of a community that necessarily constitutes their horizon, their episteme—even to forge a critical representation of it—for the construction of their identity as well as for the satisfaction of their goals. The common good is the substantial doctrine that defines the community’s way of life and thus its collective identity. The whole current crisis arises from the contradiction that is exacerbated between the ideal of the abstract universal man (with its corollary atomization and depersonalization of all social relationships) and the reality of the concrete man (for whom social ties continue to be founded on emotional ties and relations of proximity, along with their corollaries of cohesion, consensus, and reciprocal obligations). Liberal authors believe society can be based solely on individualism and market values. This is an illusion. Individualism has never been the sole foundation of social behavior, and it never will be. There are also good reasons to think that individualism can appear only insofar as society remains to some extent holist. “Individualism,” writes Louis Dumont, “is unable to replace holism completely and reign over all society. . . . Moreover, it cannot function without holism contributing to its life in a variety of unperceived and surreptitious ways.” Individualism is what gives liberal ideology its utopian dimension. Thus it is wrong to see holism as only a doomed legacy of the past. Even in the age of modern individualism, man remains a social being. Holism reappears the moment liberal theory posits a “natural harmony of interests,” in effect recognizing that the common good takes precedence over private interests. Marcel Gauchet, Le désenchantement du monde (Paris: Gallimard, 1985), 77. In English: The Disenchantment of the World: A Political History of Religion, trans. Oscar Burge (Princeton: Princeton University Press, 1997). Alain Renaut, L’ère de l’individu. Contribution à une histoire de la subjectivité (Paris: Gallimard, 1989), 76–77. In English: The Era of the Individual: Contribution to a History of Subjectivity, trans. M. B. DeBevoise and Franklin Philip (Princeton: Princeton University Press, 1999). Louis Dumont, Homo æqualis. Genèse et épanouissement de l’idéologie économique (Paris: Gallimard, 1977), 17. Certain liberal authors, however, endeavored to distinguish independence and autonomy, while others (or the same ones) endeavored to differentiate between the subject and the individual, or even between individualism and narcissism. Unlike independence, autonomy is compatible with submission to supra-individual rules, even when they come from a self-grounding normativity. This is, for example, the point of view Alain Renaut defends (L’ère de l’individu, 81–86), but it is not very convincing. Autonomy is indeed quite different from independence (in certain connections, it even represents the opposite of it), but that is not the essential question. The essential question is to know what, from a liberal point of view, can force an individual to adhere to any limitation of his freedom, whenever this limitation conflicts with his self-interest. Ayn Rand, “Collectivized ‘Rights’,” in her The Virtue of Selfishness: A New Concept of Egoism (New York: New American Library, 1964), 101. Constant, De la liberté des Anciens. John Locke, Second Treatise of Civil Government (1690), ch. viii, in Two Treatises of Government, ed. Peter Laslett (Cambridge: Cambridge University Press, 1988), 347. Hugo Grotius, Du droit de la guerre et de la paix (1625). Besides supporting the “mechanism” characteristic of liberal ideology, which is given a fundamental epistemological value, Marx himself adheres to a metaphysics of the individual, which led Michel Henry to see him as “one of the leading Christian thinkers of the Occident” (Michel Henry, Marx [Paris: Gallimard, 1991], vol. 2, 445). The reality of Marxist individualism, beyond its collectivist façade, was established by many authors, beginning with Louis Dumont. “Marx’s entire philosophy,” Pierre Rosanvallon writes, “can . . . be understood as an effort to enhance modern individualism. . . . The concept of class struggle itself has no meaning outside the framework of an individualistic representation of society. In a traditional society, by contrast, it has no significance” (Le libéralisme économique. Histoire de l’idée de marché [Paris: Seuil, 1989], 188–89). Marx certainly challenged the fiction of Homo economicus that developed beginning in the eighteenth century, but only because the bourgeoisie used it to alienate the real individual and bind him to an existence narrowed to the sphere of self-interest alone. However, for Marx, self-interest is merely an expression of a separation between the individual and his life. (It is the basis of the best part of his work, namely his criticism of “reified” social relations.) But he by no means intends to substitute the common good for private interests. There is not even a place for class interests. Alain Laurent, De l’individualisme. Enquête sur le retour de l’individu (Paris: Presses Universitaires de France, 1985), 16. Rosanvallon, Le libéralisme économique, vii. Adam Smith, An Inquiry into the Nature and Causes of the Wealth of Nations, 2 vols. (Oxford: Oxford University Press, 1976), vol. 1, book III, ch. iv, 426. Adam Ferguson, An Essay on the History of Civil Society, ed. Fania Oz-Salzberger (Cambridge: Cambridge University Press, 1995), third part, section II, p. 119. Smith, The Wealth of Nations, vol. 1, book IV, ch. ii, p. 456. Rosanvallon, Le libéralisme économique, 124. Adam Smith, The Wealth of Nations, vol. 1, book I, ch. iv, p. 37. Gerald Berthoud, Vers une anthropologie générale. Modernité et altérité (Geneva: Droz, 1992), 57. Alain Caillé, Splendeurs et misères des sciences sociales. Esquisse d’une mythologie (Geneva: Droz 1986), 347. Adam Smith, The Theory of Moral Sentiments (Oxford: Oxford University Press, 1976), 86. Caillé, Splendeurs et misères, 333–34. Bernard Mandeville, The Fable of the Bees (1714). Karl Polanyi, La grande transformation. Aux origines politiques et économiques de notre temps (Paris: Gallimard, 1983), 88. In English: The Great Transformation: The Political and Economic Origins of Our Time (New York: Farrar and Rinehart, 1944). Caillé, Splendeurs et misères, 332. Polanyi, La grande transformation, 265. Bernard Enjolras, “Crise de l’Etat-Providence, lien social et associations : éléments pour une socio-économie critique,” Revue du MAUSS, 1er semestre 1998, 223. Charles Péguy, “Note conjointe sur M. Descartes et la philosophie cartésienne,” Note conjointe (Paris: Gallimard, 1935). Source: Alain de Benoist, “Critique de l’idéologie libérale,” in Critiques—Théoriques (Lausanne, Switzerland: L’Age d’Homme, 2002), 13–29.